This post does contain affiliate links. Any opinion expressed are my own. This post is not intended to give or substitute as medical advise. As some of you know I love using my essential oils. There are some recipes I use that work so well I tend to go back to them when in need. One common issues, especially this time of year with my kids is chapped lips. I’ve heard how people can actually become “addicted” to chapsticks and the lips almost need them after using them for so long. I use this essential oil recipe for chapped lips and it works great. If I put this on my kids before they go to sleep by morning they look at least 50% better and within a day or two it’s pretty much gone. If you want to make a pot to keep on hand you’ll also need a clean, sealable container to keep it in. Amazon has plenty of lip gloss pots to choose from too. For one time use, use about a dime sized amount of coconut oil in your palm. Add 1 -2 drop of Myrrh essential oil. Mix with your finger and apply to lips. To make a pot, regular coconut oil is a little better in a pot while fractionated is better in a rollerball or small squeeze bottle. 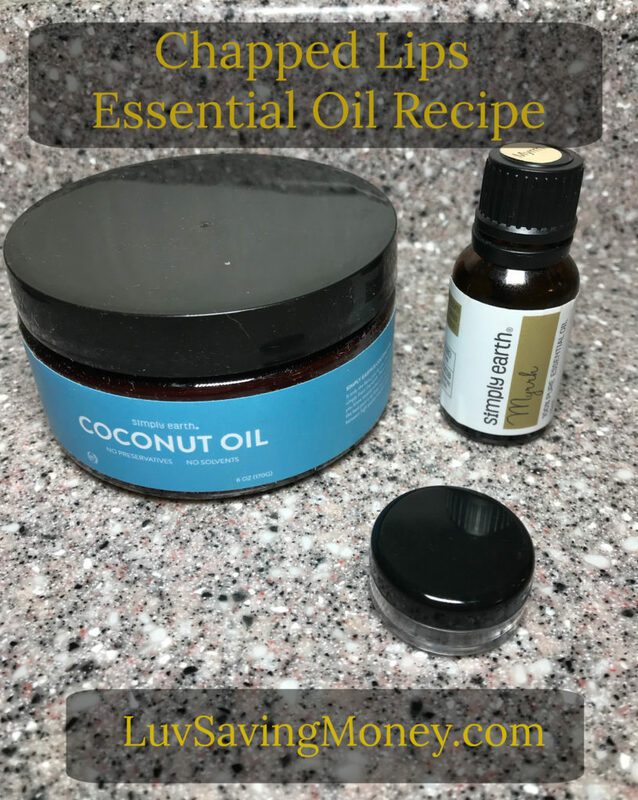 Mix about 1 tsp of coconut oil with 2-3 drops of Myrrh essential oil and seal.